12-15 August 2019 - University of Oxford, U.K.
Pre-registration has closed, but the form is still open for wait-list submissions. ExoClimes will take place at historic Merton College, with participants housed at Merton College and Jesus College. Keynote speakers have been lined up, and an outline programme has been formulated. Pre-registration is now open. Additional participant support will be provided by Europlanet. We are particularly interested in expanding participation by scientists from EU access countries. As part of Exoclimes, a workshop on convection in planetary atmospheres will be held, focusing on generalizations of moist convective processes. 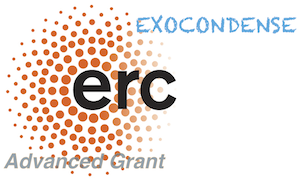 This workshop is a part of the ERC Advance Grant project EXOCONDENSE. 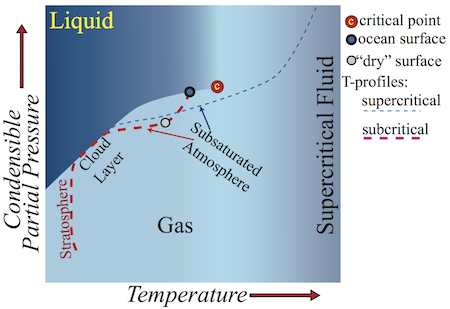 Participation by investigators whose primary work is on moist convection on Earth are welcome, as are those working on other planetary atmospheres and condensibles other than water. Pre-registration has closed, and submissions are now being processed. We hope to send out decisions by late March. The pre-registration form has been left open for those who wish to be put on the standby list, to be considered after all accepted pre-registrants have responded to registration invitations.